Linda Collins Vaught, age 74, of Somerset, passed from this life on Friday, March 16, 2018 at her residence surrounded by her loving family. She was born on May 1, 1943 in Kings Mountain, Kentucky, daughter of the late Arthur and Lillie Addington Collins. Linda was a member of the 1961 graduating class of Harrodsburg High School in Harrodsburg, Kentucky. She was the 1960 Football Homecoming Queen and participated in the Mercer, County Fair, Brodhead Little Worlds Fair and the Russell County Fair Beauty Padgett Queen in her teenage years sponsored by the Kiwanis Club. Her beauty not only on the outside but from within. She was a loving, kind, generous, and devout loving Christian woman of faith. Linda was of the Southern Baptist Faith and a member of the Duke Memorial Baptist Church. She served her church as Sunday school Class Teacher for over 15 years. She was an avid U.K. Basketball Fan. In her leisure time she enjoyed reading, cooking for her family and gardening. Perhaps her greatest passion was loving and spending time with her family, especially her grand babies. 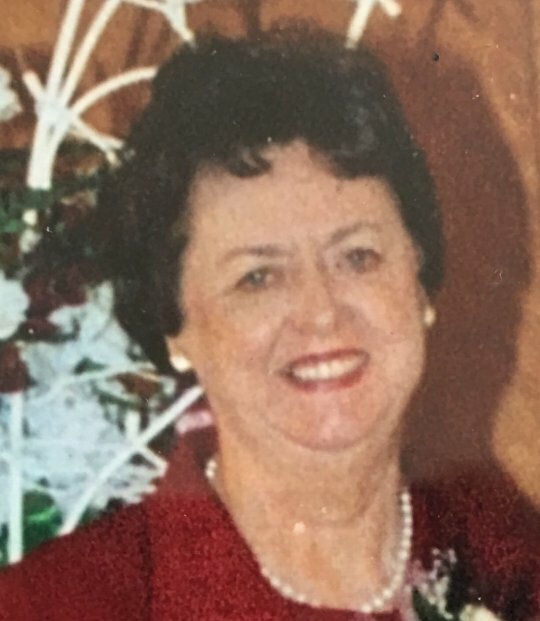 Linda was a Retired BookKeeper where she worked for a number of years with private businesses as well as a Homemaker in her later years, Her radiant smile, jovial nature and gallant spirit will create a void in the lives of those that she knew and loved. On September 29, 1962, she was united in marriage to her husband Paul E. Vaught and they celebrated over 55 years of life together. Besides her parents she is preceded in death by a Daughter; Kristi Lin Vaught and two Grandchildren; Lucy Marie Lovings, and Austin Webb. She leaves behind to cherish her precious memory her husband; Paul E. Vaught of Somerset, Two Sons; Barry (Roetta) Vaught and Eric (Jessica) Vaught all of Somerset, and a Daughter; Jan (James) Lovings of Bryantsville, Kentucky, Two Brothers; Tom (Dorothy) Collins of Boston, Kentucky and Steve (Tina) Collins of Spears, Kentucky, Three Sisters; Velma (Clarence) Ware of Wilmington, North Carolina, Peggy (Jim) Estes of Lexington, Kentucky, and Barbara (Gerald) Goodlett of Peewee Valley, Kentucky, and Three Grandchildren; Derrick (Jessica) Vaught, Colson Vaught and Kenneth Lovings as well as a host of Nieces, Nephews other relatives and friends. Visitation will be from 10:00 a.m. until 12:30 p.m. on Tuesday, March 20, 2018 at Duke Memorial Baptist Church, 106 Layman Ave, Somerset, Kentucky 42503, The Funeral Service will be on Tuesday at 12:30 in the Church Chapel with Bro. Randy Smith and Bro. Barry Vaught officiating. Interment will be in the Danville Memorial Gardens in Danville, Kentucky. Serving as Pallbearers is Eric Vaught, Tom Collins, Steve Collins, Kevin Goodlett, Derrick Vaught, James Lovings and Jere Vaught, Honorary Pallbearer will be Colson Vaught. In lieu of Flowers, Contributions may be made to Hospice of Lake Cumberland, 100 Parkway Drive, Somerset, Kentucky 42503. Southern Oaks Funeral Home is entrusted with the arrangements for Mrs. Linda Collins Vaught.